Ron Peck’s 1991 documentary on boxing is a romantic, idealised, even sentimental portrayal of a sport often denounced as brutal and barbaric. Die-hard lovers of boisterous fight night atmosphere may be baffled: any action in the ring does not come until right at the end of the film and is strikingly restrained. 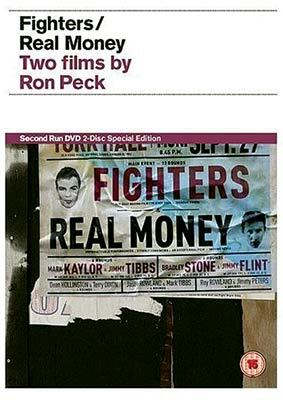 Of primary importance here is the series of interviews with young fighters at the West Ham and Royal Oak clubs where Peck spent months gathering material. Middleweight near contender Mark Kaylor eloquently describes balancing the role of homemaker with that of aspiring champion, while tragic featherweight Bradley Stone talks passionately of the importance of earning his opponents’ respect. One contributor reflects dispassionately that he’d probably be a ‘very violent person’ if he had nowhere to channel his aggression. Peck’s ambitious impressionistic collage of a film blends these grainy straight-to-camera interviews with improvised drama, archive footage, photography, even scenes from Robert Wise’s 1949 boxing film The Set-Up. As might be expected from the ‘gay left’ director of Nighthawks and Strip Jack Naked, there’s much dumbstruck focus on lean, young male beauty, and the balletic nature of the sport is constantly to the fore. When the fighters are having Vaseline and oil applied to their skin prior to stepping in the ring, it resembles dancers applying their make-up in advance of curtain-up, while the sequence in which a young man bends every sinew in a shadow boxing match with his own reflection wonderfully distills the agonising discipline required for the attainment of glory in the ring. Real Money reunites much of the cast from Fighters in a drama that expands beyond the world of the boxing gym to take in drug dealing, petty crime, night clubbing and other geezerish pursuits later to become overly familiar from the likes of Lock, Stock and Two Smoking Barrels. The feature retains the scratchy quality and long, lingering close-ups of the previous film, but is woefully lacking in narrative drive, while suffering from the uneven performances of its non-actors.